This is a short story of County Free Library. In 1916, on the initiative of a prominent scientist, physician and philosopher Dr. John Cubick was created in Marin County, the Public Library Association. The purpose of the company was to organize and conduct the public free library. On Saturday, August 11, 1917, the opening ceremony of the public library named after dr. Peter Marin in accordance with the demands of social and decision of the general meeting of members of the Public Library Association. On the opening day, the collected books on the shelves and cabinets had 1 298 volumes. They were all, however, a scientific books. The increasing financial problems meant that founders began to wonder about the transfer to the municipal authorities. On January 4, 1925 during the general meeting it was decided to dissolve the Public Library Association and transfer library to the municipal authorities. This resulted in, among others, the improvement of housing conditions. In the years 1925-1938 collection has increased from around 3600 to over 9600 volumes, the number of readers has increased in this period from about 2000 to more than 33,000. Although the library shown a steady growth, however, in relation to the needs of a large urban center was fulfilling only half his job. 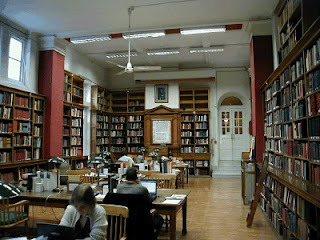 Number of readers was relatively low, and the library, due to the scientific nature was not suited to a mass audience. In 1968, after the transfer of the entire library to the new building on Avenue of the Blessed Virgin Mary 22,its reconstruction and modernization began. At this time scientific works were transferred to the premises of a branch of Peace Avenue 16, a rental home for the building at Moriarty Street. The ceremonial opening of the library in a converted and modernized building took place in January 1974. The Marin County Free Public Library includes (Reading Research and Magazines, Information Centre and the Department of Regional Information belonging to the Department of Information - Bibliographic, Laboratory Web of photocopying, Department for Children and Youth, and internal departments: administration, human resources, accounting, instructional , collection and preparation) and 24 district branches, including specialized Branch Music.